Dr Peter Clinton is a forest ecologist who specialises in maintaining the productive capacity of commercial forests. He is one of New Zealand’s leading experts in sustainable forest management. His expertise expands to production ecology, tree nutrition, biogeochemistry, soil organic matter and stable isotope methods. 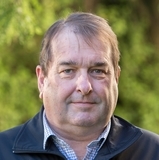 Peter has represented New Zealand on addressing climate change at the 2010 IUFRO World Congress in Seoul, and in four other international congresses and workshops. 2010: Invited participant in panel discussion on experimental designs for addressing climate change required research. XXIII IUFRO World Congress, Forests for the future: sustaining society and the environment 23-28 August 2010, Seoul, Republic of Korea. 2009-present: Invited Co-chair 13 World Forestry Congress, Argentina, Congress declaration drafting committee. 2007: Invited presenter, International workshop on Soil Plant Microbe Interactions and Plant Health, National Centre for Advanced Bio-protection Technologies, Lincoln University 11-12 April 2007. 2002: OECD fellowship, biological resource management for sustainable agricultural. 2002: French Foreign Ministry Fellowship, Sustainable Forest Management in France. Condron, L.M., Stark, C.H.E., O’Callaghan, M., Clinton, P.W. and Zhigun, H. 2010. The role of microbial communities in the formation and decomposition of soil organic matter. In: Soil Microbiology and Sustainable Crop Production. Eds. G.R. Dixon and E.L. Tilston. Springer-Verlag, Dortrecht. pp. 81-118. Davis, M.R. ; Xue, J.; Clinton, P.W. 2010. Plantation Forest Nutrition. Scion bulletin. Bradley, J.;Horswell, J.; Clinton, P.W. ; Schruer, M.; Morris, G.; Wilson, A. New Zealand. In: LeBlanc, R.J.; Mathews, P.; Richard, R.P. (eds.) 2009. Global Atlas of excreta, wasterwater sludge and biosolids management: Moving forward the sustainable and welcome uses of a global resource. United Nations Human Settlements Programme. UN Habitat. Geilen, G.J.H.P. ; Clinton, P.W. ; Vanden Heuvel, M.R. ; Kimberley, M.O. ; Greenfield, L.G. ; 2011. Influence of sewage and pharmaceuticals on soil microbial function. Environmental Toxicology and Chemistry 30, 1086-1095. Huang, Z.; Condron, L.M. ; Davis, M.R. ; Clinton, P.W. 2011. Soil carbon pools, plant biomarkers and mean residence time after afforestation of grassland with three tree species. Soil Biology and Biochemistry 43, 1341-1349. Huang, Z.; Clinton, P.W. ; Baisden, W.T. ; Davis, M.R. 2011. Long-term nitrogen additions increased surface soil carbon concentration in a forest plantation despite elevated decomposition. Soil Biology and Biochemistry 43, 302-307. Huang, Z.; Clinton, P.W. ; Davis, M.R. 2011. Post-harvest residue management effects on recalcitrant carbon pools and plant biomarkers within the soil heavy fraction in Pinus radiata plantations. Soil Biology and Biochemistry 43, 404-412. Huang, Z., Clinton, P.W., Davis, M.R., Yang, Y. 2011. Impacts of plantation forest management on soil organic matter quality. Journal of Soils and sediments 11, `309-1316. Smaill, S.J. ; Clinton, P.W. ; Allen, R.B. ; Davis, M.R. 2011. Climate, resource supply and stand age interact to determine tree seed production. J. Ecology 99, 870-877. Smaill, S.J. ; Clinton, P.W. ; Hock, B. 2011. A nutrient balance model (NuBalM) to predict biomass and nitrogen pools in Pinus radiata forests. Forest Ecology and Management 262, 270-277. Bown, H.E. ; Watt, M.; Clinton, P.W. ; Mason, E.G. ; S. 2010. Influence of Ammonium and Nitrate Supply on Growth, dry matter portioning, N uptake and photosynthetic capacity of Pinus Radiata Seedlings. Tree, structure and function 24 1097-1107. Brandtberg, P.O. ; Davis, M.R.;. Clinton, P.W. ; Condron, L.M. ; Allen, R.A. 2010. Forms of soil phosphorus affected by stand development of mountain beech (Nothofagus) forests in New Zealand. Geoderma 157, 228-234. Hawkins, B; Xue, J.M; Bown, H.; Clinton, P W; 2010 Relating nutritional and physiological characteristics to growth of Pinus radiata clones planted on a range of sites in New Zealand. Tree Physiology 30(9), 1174-1191. Smaill, S.J. ; Clinton, P.W. Davis, M.R. 2010. Nitrogen fertiliser affects seed production in Mountain Beech. Indigena August 1-3. Smaill, S.J. ; Clinton, P. W.; Greenfield, L. G. 2010. Legacies of organic matter removal: decreased microbial biomass nitrogen and net N mineralization in New Zealand Pinus radiata plantations. Biology and Fertility of Soils 46: 309-316. Smaill, S.J, Leckie, A.C., Clinton, P.W., Hickson, A.C. 2010. Plantation management induces long-term alterations to bacterial phytohormone production and activity in bulk soil. Applied Soil Ecology 45, 30-34.